On March 20, Environment America Research & Policy Center published a toolkit titled "Ten Ways Your Community Can Go Solar." Among the tools that we encourage municipal leaders to use are: installing solar panels on public buildings, streamlining the permit process for homeowners and businesses seeking to go solar, and partnering with electric utility companies. "We're seeing great progress in cities throughout the U.S., such as Boston, Jacksonville, San Antonio and Kansas City, Missouri," said Emma Searson, an associate with our national network's Go Solar campaign. 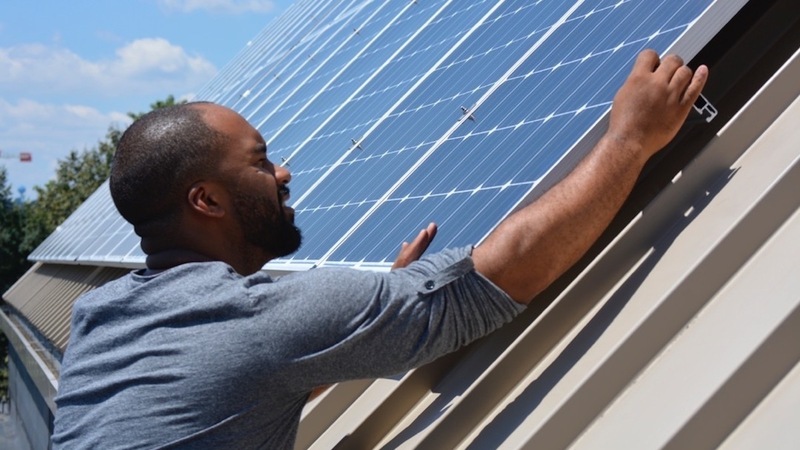 "We want to help those communities and others achieve their full solar potential by giving them tools that were built and refined based on the experiences of other cities and towns." The Go Solar campaign is working with 50 cities in setting and achieving bold solar energy goals.